ABSOLUTELY 100% CONFORM TO GS1 STANDARDS. Barcode Wizard+ is the easiest and fastest way to perfect EAN-13, EAN-8, Jan-13, Bookland (ISBN) Bar Codes, necessary to sell packaged products in Europe, Japan, and books or magazines all over the planet. 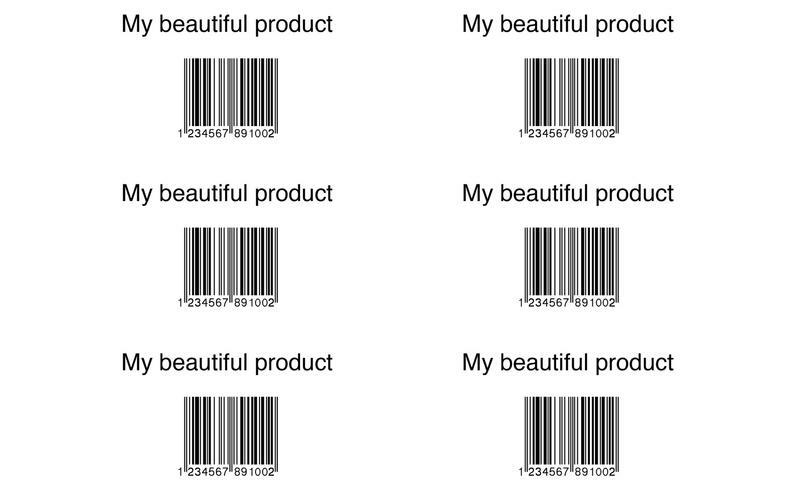 Contrary to other products available, it uses a set of fonts to produce barcodes that can be typeset, or made into vectors. Bookland offers to enter the ISBN code as well as the price. All you need to do is to enter your product code, the title of your stickers eventually, and click ‘Process’. Your barcode is created. 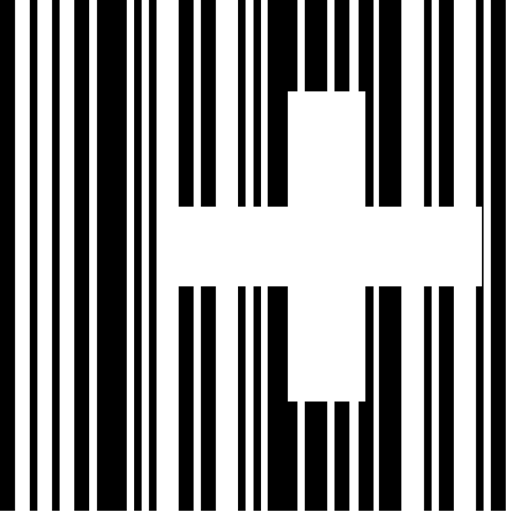 Extremely convenient to bar code, or recode for sale, products you just received in a store. Aspect ratio can be changed, to have shorter or larger barcodes to perfectly fit your needs. Printing is easy with common Avery™ sizes already set. You can also generate graphics to use in any standard application. Finally, for typesetting and desktop publishing use, fonts can be saved, so printing with a particular ink becomes possible. This program is both easy to use, and absolutely precise. Your choice of format is saved, so it is set by default next time you use the program. Help window can be resized. 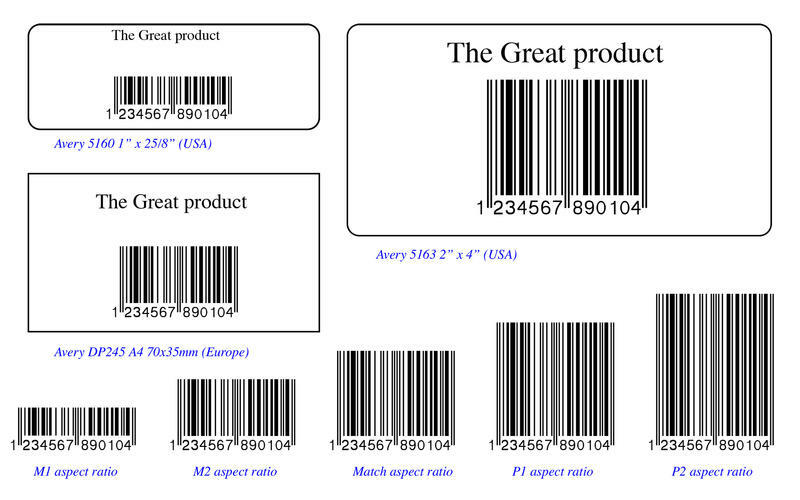 If you need a more versatile production of different formats see Barcode Maker in this store, which supports the following standards : BAR 39/3 of 9 • BAR 39 EXT • INTERLEAVED 25 • CODE 11/USD-8 • CODABAR • MSI • UPC-A • IND-25 • MAT-25 • CODE 93 • EAN-13/JAN-13 • EAN-8 • UPC-E • CODE 128 • CODE 93 EXT • POSTNET • EAN-128 • ISBN-13/Bookland. Graphics can be saved to disk to use in Desktop Publishing and typesetting applications. Pictures can be saved in png format, between 1500x1000 and 7500x5000, at resolutions between 72dpi and 600 dpi. Eps and Pdf format at sizes 1500x1000 to 7500x5000.